The examiner of your driving test would allow you to either use drawbar or an articulated combination for acquiring your LGV C + E license. All the LGV C vehicles we have come fitted with towing drawbar hitch. The drawbars we have are comfortable, easily positioned, stable and can especially be reversed easily since they are not only close coupled but their road wheels are also strategically positioned at the center of the trailer. You can proceed very fast from C to C+E with just a few hours of driving training since you would be using similar LGV C vehicle that you are already familiar with and on which you have just passed your test but with only with an attached trailer. You can also choose to pass your C+E in Wembley with one of our Articulated Vehicle. You can gather experience by driving this kind of vehicle such that after passing your test you would be fully confident about driving any big rig as well as be completely conversant with driving long distance truck as a professional and you can then seek truck driver jobs. You would, however, need to invest more time as well as money in training with an articulated vehicle for obtaining your C+E since additional training is needed to be of testing standard with an articulated vehicle than is needed with a drawbar vehicle. The choice would of course be yours. If you are not an experienced holder of HGV Class 1/ LGV C+E license or have newly qualified, you might want to opt for a refresher lesson or a practice session with one of our articulated vehicle. It would be just your trainer and you. You can gain experience of handling big rigs with a driving practice session on our box body as well as full size 13.6 meter combination of tractor and trailer unit. 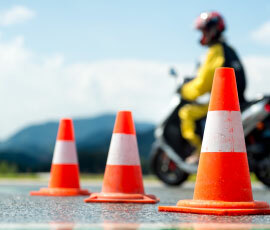 Are you ready to begin your C+E driver training? What is the kind of training I would need to undergo to pass the test? Is it costly? If you have passed the LGV C test with us, your trainer would have recommended your C+E training options. 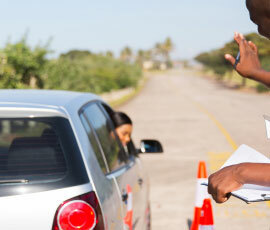 But if we have never seen you drive, you suggest that you undergo a DRIVING ASSESSMENT with one of our instructors. Based on your driving skills as well as experience, we would be able to recommend the training courses that would be suitable for you to pass your test and also quote a price. Need to borrow to pay for your training course? Low monthly repayments are available. Call us at our office to know more.